Despite being a recent concept, we already know that cognitive computing will dictate major technological advancements in a very near future. This is the capacity given to computers, to think and acquire knowledge. Our students need to be prepared to take leading roles and be part of this evolution. 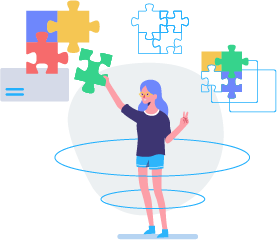 In an intriguing manner geared toward children and teenagers, this path promotes an understanding of terms such as Machine Learning and Artificial Intelligence, with integration between platforms, development and presentation of projects. Programming logic with C#, Unity and integration with IBM Watson – the cognitive computing platform from IBM.